Add some exciting stateside #avours to your weekend meal with one of our four fantastic American recipes. This is the month of Thanksgiving - to get into the spirit of celebration we’ve collected our favourite US recipes. From lip-smacking pies to cute cupcakes and classic cookies, we’ve got treats everyone can enjoy and share. Reach for the stars (and stripes) with these yummy treats! All the way from the southern states, this dessert combines rich nuttiness with sweet toffee to create a taste sensation! 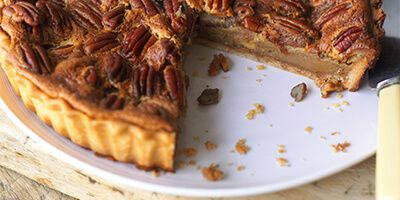 The pie takes nearly an hour to cook but will fill your kitchen with the sweet smell of baking pecans. 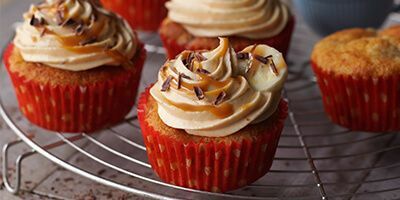 The flavours of Banoffee Pie are captured in these dainty cupcakes. We’ve topped the banana cake base with caramel frosting. Yum! Try these out for yourself. This New York style cheesecake takes a little time to bake but the waiting is well worth it! 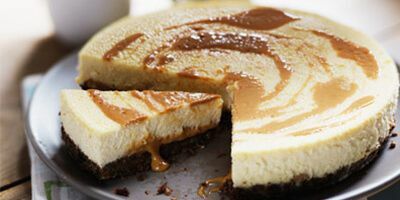 The caramel swirl is a delicious addition to the tangy filling. For a fruity twist, why not add some blueberry compote when serving? Our version of this American classic is delicious and easy to make. 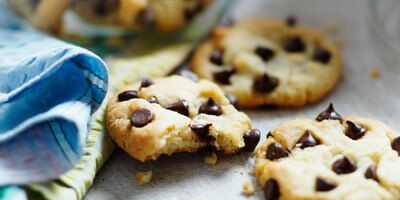 The cookies are studded with chocolate, crunchy on the outside and soft and chewy in the middle. Why not try them today?